The Kingdom of Tonga is a small Polynesian state that occupies the archipelago of the same name. It is one of the few countries that has never lost its sovereignty to a foreign power, that is why its national holiday is dedicated to the adoption of the constitution rather that to the country's independence. Tonga was united into a single kingdom in 1845 by a young warrior Tāufaʻāhau. In 1831, he was baptized and became known as Siaosi (George). He adopted the name after King George III of the United Kingdom. 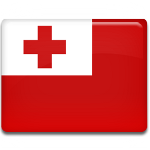 Tonga officially became a kingdom on November 4, 1875, when the King enacted the constitution and took the name George Tupou I, King of Tonga. The anniversary of the adoption of the constitution was designated as a public holiday, Constitution Day. In 2006, the government renamed it to Tonga National Day in order to celebrate not only the Constitution, but the country's heritage as a whole. It is the most important public holiday in the country. National Day of Tonga is marked with festive activities throughout the country.